In Western Europe, the authority of the Catholic Church remained largely unquestioned until the Renaissance in the fifteenth century. Around 1450, the invention of the printing press in Germany made it possible for the masses to read the Bible and other religious texts, enabling the discovery of religious thinkers who had begun to challenge the Church. The term “Reformation” is used to describe the series of changes in Western Christendom between the fourteenth and seventeenth centuries. The early sixteenth century, in particular, brought divergences from Catholic doctrine caused by the perceived financial excesses of the Papacy and the Curia. 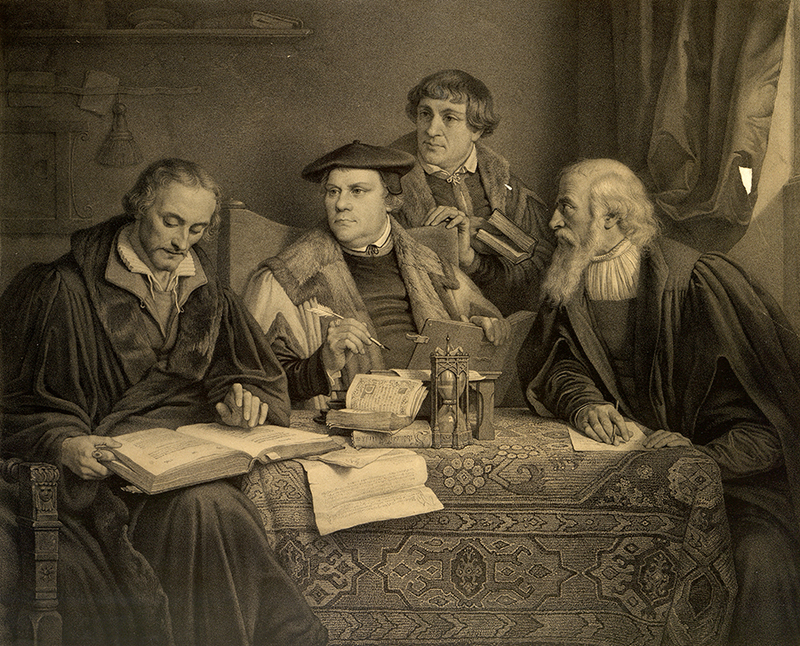 The emerging Reformed churches are those that were influenced by the theology of reformers such as Desiderius Erasmus, Martin Luther, Ulrich Zwingli, Philipp Melanchthon, John Calvin, Théodore de Bèze, and John Knox. Designation of these ‘Protestant’ churches as Églises réformées, reformierten Kirchen, and ecclesiase reformatae was common before the end of the sixteenth century. 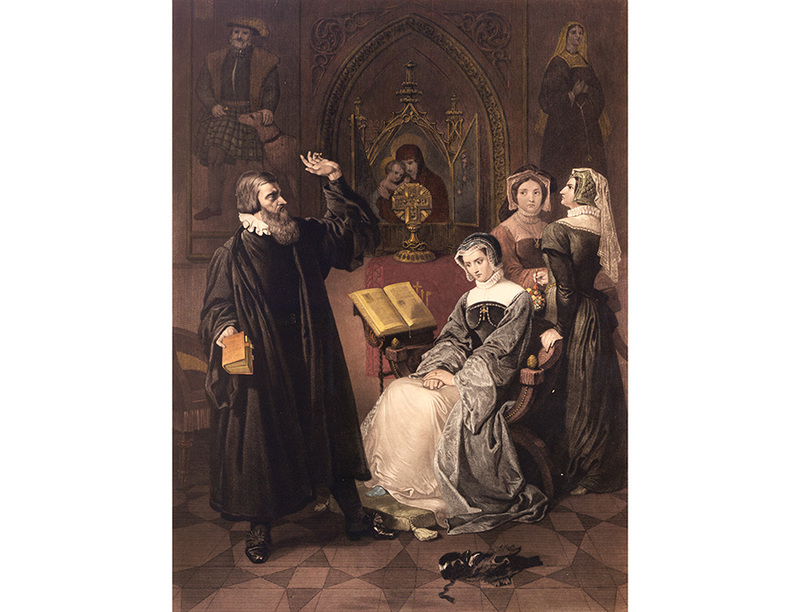 This exhibit examines sixteenth century European reformers and their contributions to the Reformation. Unless noted, all images are sourced from the society's collections.